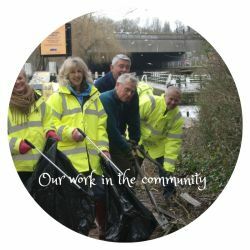 READING LIONS CLUB is a local group of volunteers who aim to promote the health and wellbeing of the Reading community by improving the local environment, helping individuals in times of need, supporting Reading based community groups and local charities. Every penny raised goes into our community projects. Our aim is to serve the people of Reading and make a difference. We are always seeking new and fun ways of raising money. Lions Clubs are also members of an international network of men and women who work together to answer the needs that challenge communities across the world. The 'Lions Den' is Back! 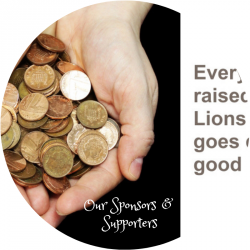 Come and face the 'Lions Den' for a chance of a small community grant up to £750.00? Click here for more news. Stage one: Download the grant application form here... Complete and return the application no later than 15th May 2019. Stage Two: Successful applicant groups will be invited to the 'Den' on 12th June 2019 to 'pitch' for a grant. The 'Den' is this year being held curtesy of the Royal Berkshire Conference Centre at the Madejski Stadium. Stage Three: grants are awarded by 30th June 2019. Back by popular demand. Our fun filled charity Golf Day is on Friday 5th July 2019. Click to download your entry form. Raising funds to help those in need. 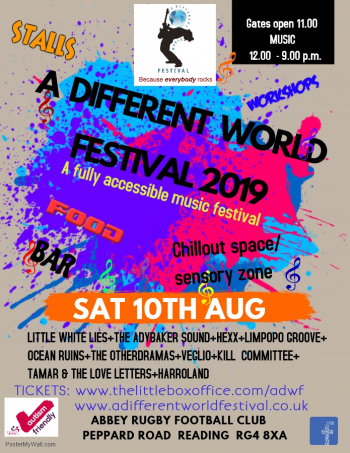 A Different World festival is back! Can you spare some time to help serve your community? 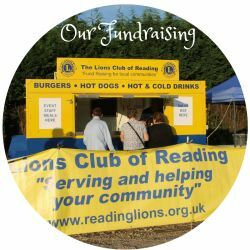 The Lions Club of Reading meets two evenings a month to organise our community and fundraising events. Giving makes us all feel better for living. We have fun too and our reward is the satisfaction in what we do for others. If this sounds like something for you then why not come along to one of our meetings or join us at a fundraising event or help out at one of our community service projects. Or maybe join us for a social event (see calender of events). 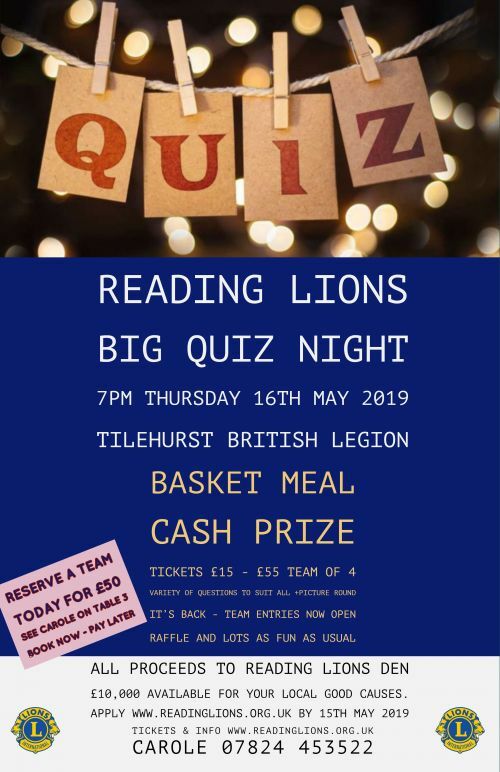 We meet on the second and fourth Monday of the month at the Prudential Ibis Club, Scours Lane, Tilehurst, Reading, RG30 6AY. 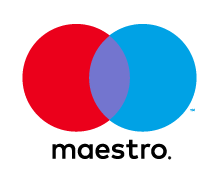 Click here to see how your unwanted prescription glasses can help those in need. 'The longest journey starts with the smallest step'. A big thank you to all our sponsors and supporters. 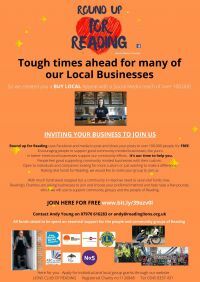 With your help we are 'making a difference right her in the Reading community'.